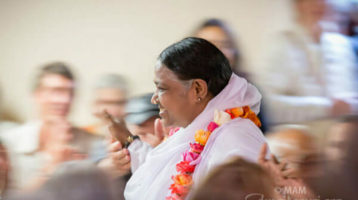 Sri Mata Amritanandamayi Devi—or Amma (Mother), as she is known—is loved throughout the world as an extraordinary humanitarian and spiritual leader who is transforming the lives of millions of people through her spiritual teachings and the living example of her life. 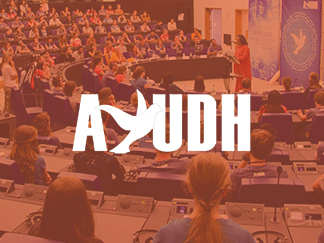 She has served the world-community for decades, sharing her wisdom, strength and inspiration. 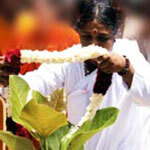 Amma’s caring, motherly embrace—known as darshan—is the centrepiece of her life. 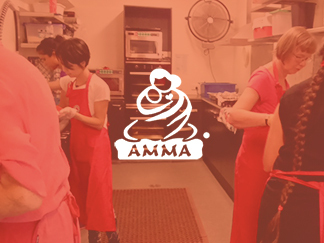 Nearly every day, for more than four decades, Amma spends hour after hour, receiving people in this unique fashion, forgoing food and sleep—occasionally sitting for as many as 24 hours in a row. 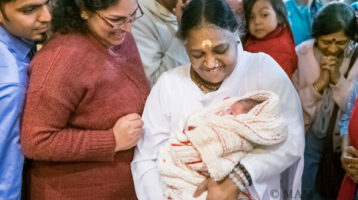 Meeting Amma is a unique experience. 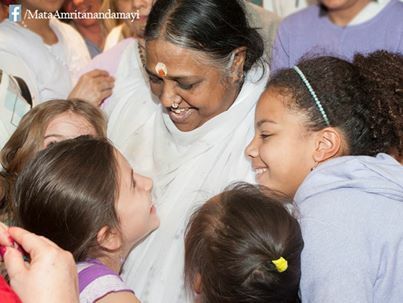 In Amma’s arms people find the peace, love, strength and inspiration to face the challenges of life with a positive attitude. 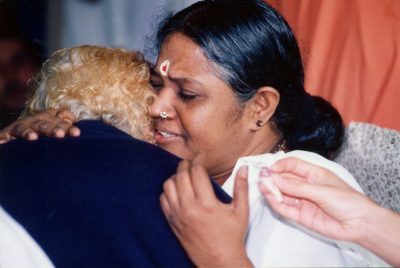 Seeing Amma’s example of selfless compassion, many people come away from Amma’s darshan feeling inspired to see if there isn’t more that they could be doing to help others. 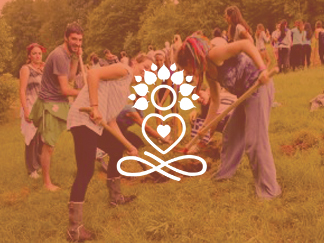 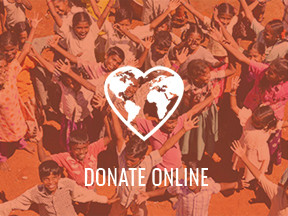 In this way, an entire volunteer humanitarian movement—known as Embracing the World has arisen. 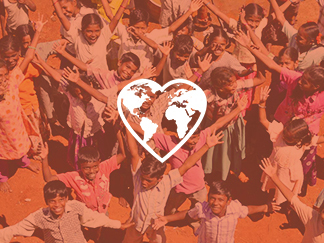 Embracing the World projects include free medical care for the poor, homes for the homeless, pensions for widows and mentally disabled people, scholarships for impoverished children, environmental initiatives, and much more. 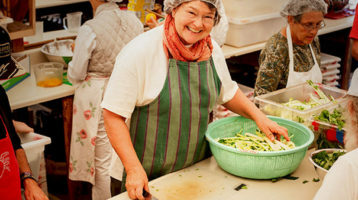 In Australia, free meals for disadvantaged people been served regularly as part of an international program known as “Mother’s Kitchen” since 1999. 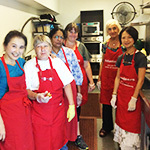 There are Mother’s Kitchens in Melbourne, Canberra and Sydney. 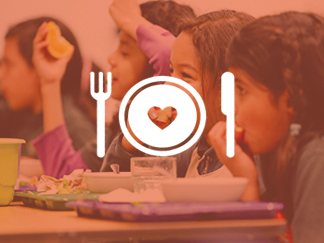 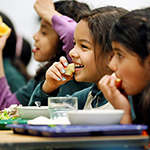 The Kids Breakfast Club in Melbourne serves meals to children from eight schools in Melbourne, who would otherwise start the day without breakfast. 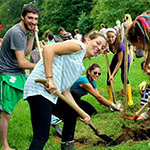 There are also tree-planting and ecological cleanup days as well as visits to nursing homes, car wash and marathon fundraisers, and many more activities. 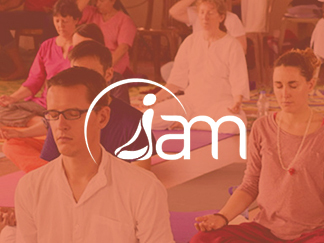 All of this has arisen based on Amma’s belief that compassion is the one-word answer to all the world’s problems. 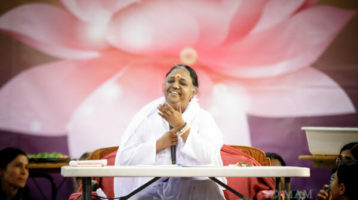 Amma has travelled the world for more than 30 years, bringing love, hope and peace through her talks and her darshan. 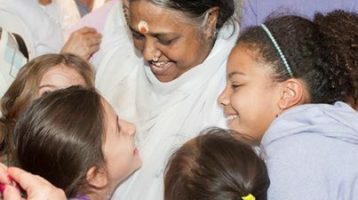 Accessible to everyone, she has hugged an estimated more than 34 million people worldwide. 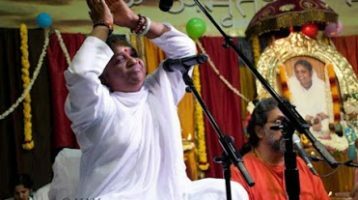 At the request of Australians who have met and been inspired by Amma she has been visiting Australia, since 1989, holding free programs as well as retreats throughout the country.